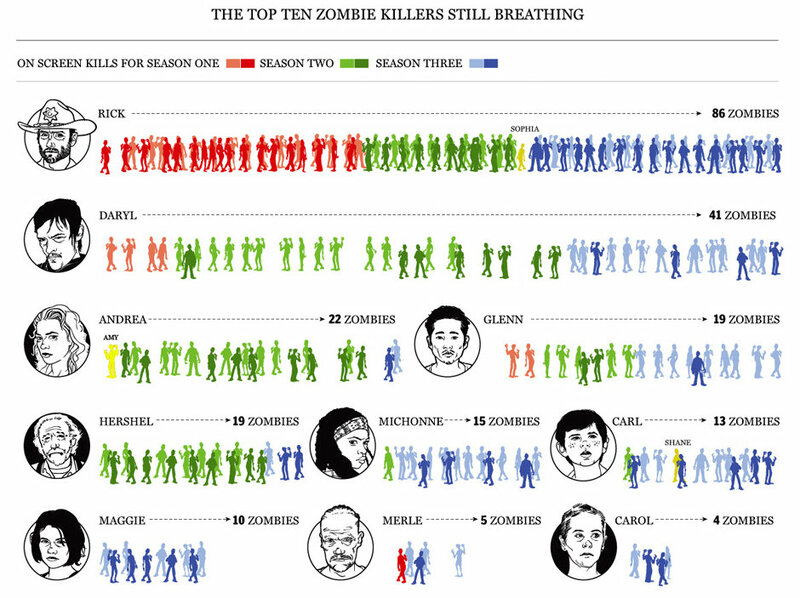 For those of you who didn't think they liked zombies, but are compelled to watch the Walking Dead - here is a who-killed-what score card - to the end of Season 3. There are even more gross graphics over at the National Post. Thanks to Joe My God for alerting me.